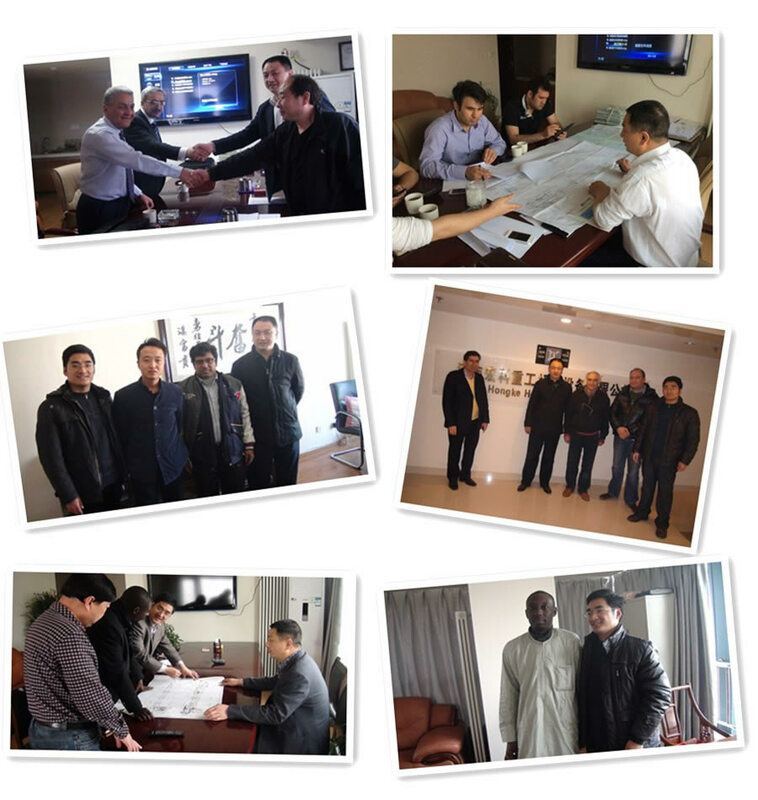 Superfine grinding mill is one new type product with the international advanced technological level developed by our company by absorbing the domestic and overseas excellent technology and concept on the basis of the actual situation of customers and the experience of our researchers in the past 20 years. This machine is mainly used for grinding non flammable and explosive materials such as quartz, feldspar, calcite, limestone, talc, ceramics, marble, granite, dolomite, bauxite, iron ore, baritone, bentonite, coal gangue, coal and so on with the Mohs hardness below 7 grades and humidity below 6%. 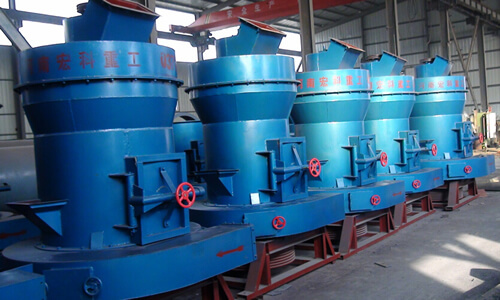 Grinding finished material particle size range is from 800 meshes to 1, 800 meshes (it is adjusted according to different requirements). 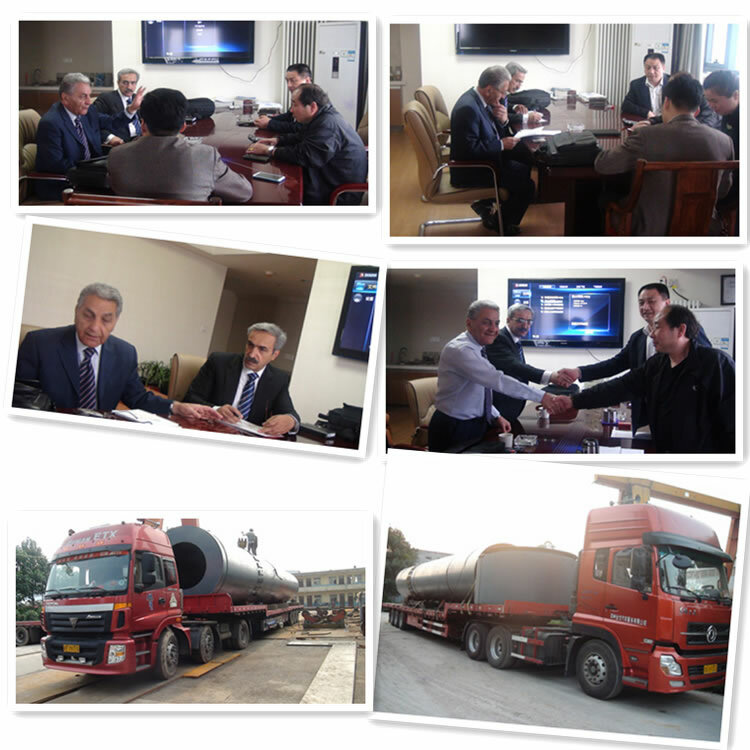 Superfine mill is mainly used for grinding non flammable and explosive materials such as quartz, feldspar,calcite, limestone, talc, ceramics, marble, granite, dolomite, bauxite, ironore, baritone, bentonite, coal gangue, coal and so on with the Mohs hardnessbelow 7 grades and humidity below 6%. Grinding finished material particle sizerange is from 800 meshes to 1, 800 meshes (it is adjusted according to differentrequirements). 8. Scraper knife feeds material within mill, and production efficiency is greatly improved. 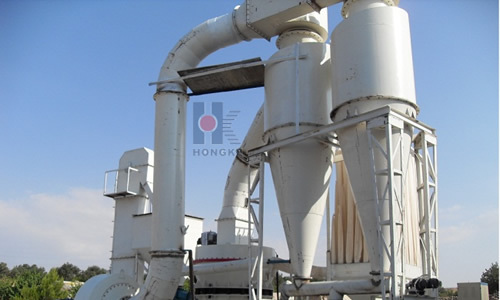 Thematerials being crushed into small particles will be sent to the storage hopperby bucket elevator, and then being sent to the host grinding chamber by theelectric-vibrating feeder. The grinding roller, hanging on the star rack,rotates around normalaxis, and the grinding roller turns on its own axis at the same time. Thegrinder roller swings outwards and presses grinding rings under the action of centrifugalforce. 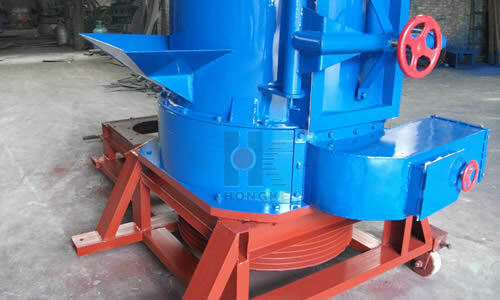 The grinding materials can be mashed and grounded under the action ofgrinding rollers. The air blower blows powders to the analytic engine to beanalyzed in the grinding chamber, and the fineness of the materials will fallinto the host to be discharged again, and the fineness meeting thespecification will enter the whirlwind machine collecting with the airflow, andthey will become the finished products after being collected and dischargedthrough discharging port. The purified airflow will enter into the air blowerthrough the pipeline on the upside of the whirlwind machine collector andgrinding chamber. 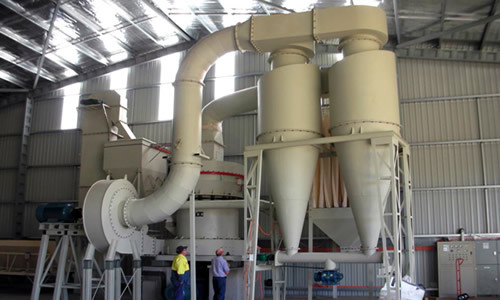 The dust cannot overflow, so it can protect the environment.Thanks to the moisture in the materials will be evaporated into gas, whichflows through the pipeline and the feed inlet and increases the air volume inthe circuit and the increased air volume will be discharged after beingpurified by the bag-type dust collector. Fineness（mm）	 Generally in 0.045-0.02, the finest can reach 0.01.